Robert Schwentke's 2010 comic book adaptation Red brought together a pretty incredible cast. While Bruce Willis alone is usually enough to sell an action movie, the film also included Morgan Freeman, Mary Louise-Parker, Helen Mirren, John Malkovich, Karl Urban, Brian Cox, Richard Dreyfuss and Ernest Borgnine. 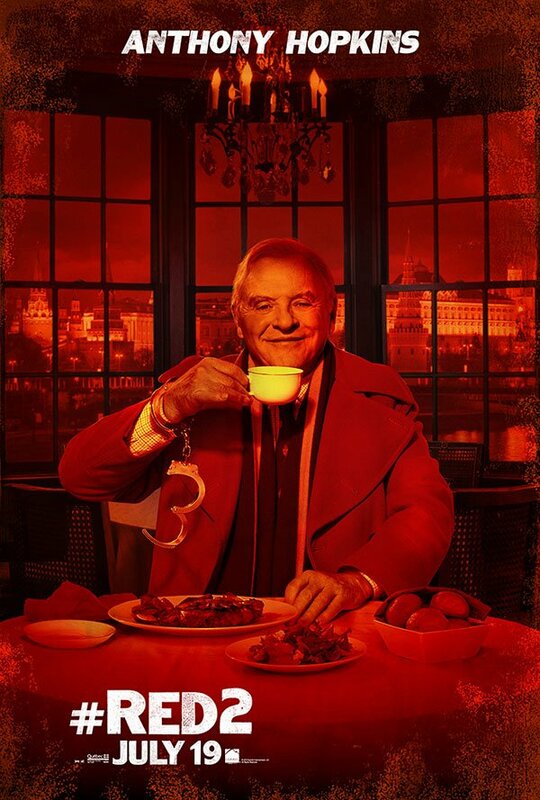 It's a pretty hard group of actors to top, but not only does the upcoming sequel, Red 2, bring back a good number of them, it even adds some great names to mix, including both Anthony Hopkins and Byung Hun Lee, the two stars featured on today's pair of new character posters that come to us via Yahoo! We've been posting new one-sheets for Red 2 all week in anticipation of the brand new trailer that's set to launch tomorrow, with Willis and Malkovich taking center stage on Tuesday; and Mirren and new addition Catherine Zeta-Jones taking the spotlight yesterday. The posters have all been a bit same-y, splashed in red and filled with guns and madness, but it's hard to argue that it's not a great way to show off the terrific ensemble. 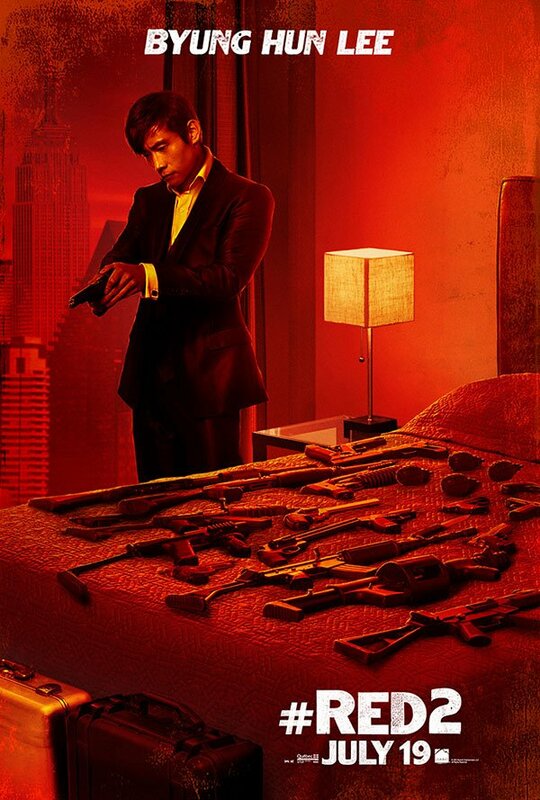 Stay tuned for the new trailer tomorrow and see Red 2 in theaters July 19th. Anthony Hopkins Danced Like A Broken Robot On Twitter, But Was It Related To Westworld?